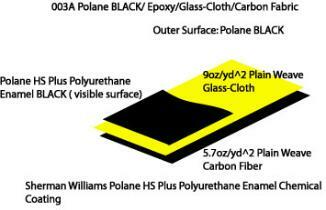 -Polane coating enamel is available in assorted colors-. 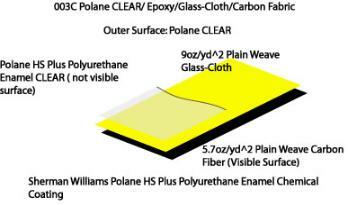 ACI offers Polane in three coatings. BLACK 003A, SILVER (Aluminum visual coating) 003B and 003C CLEAR (shows underlying Carbon Fiber Surface). 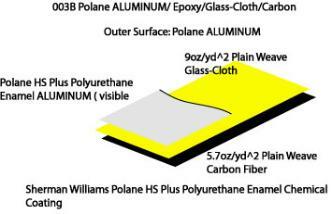 Polane HS Plus Polyurethane Enamel is used on Food and Beverage Machines, Pharmaceutical Machines and Medical Machines.